Rotterdam has gone one-step further in its quest to clear up its shores and waterways of plastic waste. The eco friendly organization ‘Recycled Island Foundation’ is behind the move to create multi-functional plastic parks. ‘Litter traps’ floating on the water capture litter from the city’s canals, which perform the very important function of trapping plastic litter before it can flow out to the ocean. The trendiest space in Rotterdam now could very well be the ‘Recycled Park’ made out of waste plastic. It is one of the innovative ways to reduce plastic pollution. This incredible solution for using waste plastic has to be one of the most innovative and effective solutions we have ever come across. There just seems to be no downsides to it! The ‘Recycled Island Foundation’ has created a prototype plastic park, and soon we hope to see more of these extraordinary parks on a global scale. The plastic parks were built in collaboration with WHIM Architecture, Recycled Island Foundation, HEBO Maritiem Service and Rotterdam municipality. The Wageningen University researched the best process to recycle the plastic. The project was conceptualized in order to prevent plastic clutter of the waterways and avoid it from entering the North Sea. The recycled plastic floating park will also perform some important ecological functions. It’s one of the most innovative methods to reduce plastic pollution, which has caught the attention of the whole world. The plastic was retrieved from Nieuwe Maas and recycled to fabricate the plastic platforms. 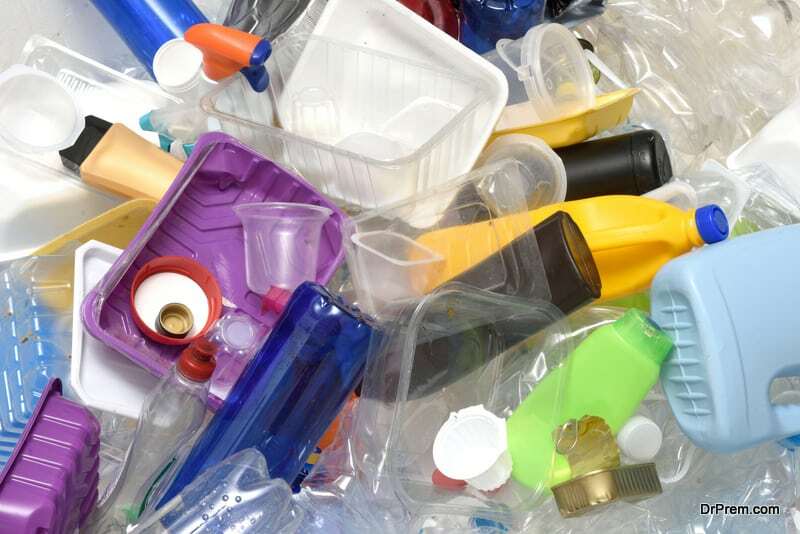 Although the exact quantity of plastic used is not known, the Recycled Foundation says it took approximately one and half years to capture all the plastic required. The parks made from plastic waste works unhindered by ship traffic, changing wind direction or tidal changes. The litter traps are still in use, and catch plastic as it goes by, using the stream of the river. The parks made from plastic waste are called the ‘Recycled Park’. It is mainly a lush offshore garden, which acts as a refuge for the urban wildlife. A small area is marked for the use of people. The plastic parks are 1,500 sq feet, created by interlinking many hexagonal platforms made of recycled plastic. It whole structure is anchored to the floor of the harbor. The park has several buoyant gardens at different heights, designed to attract different wildlife, including nesting birds. The underside of the green floating islands has been specially designed to provide nourishment to aquatic life. The undersides have a special rough finishing where plants roots can thrive and fish have a place to lay their eggs. 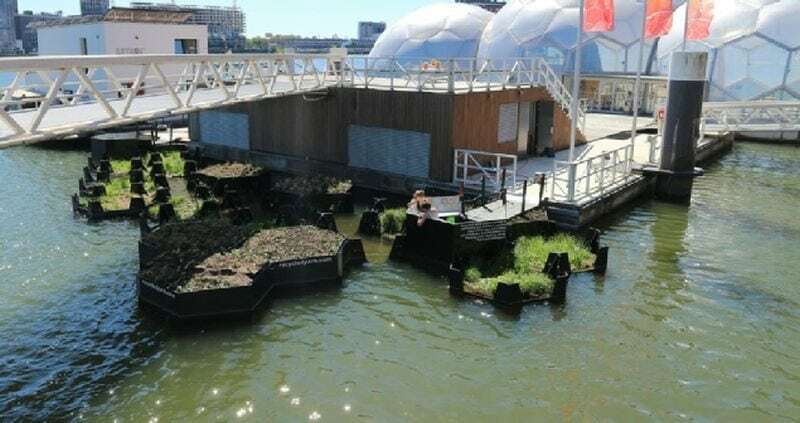 It is one of the ways, which can help to improve the ecosystem of Rotterdam harbor. A small canal runs through the park that provides shelter to fish and birds, before entering the ocean’s deep waters. The prototype for plastic parks aims predominantly to become a haven for birds, fishes, bees and humans. People can get some respite from their daily lives by relaxing on the water park, and enjoy looking at the beautiful scenery around them. The location of the park is right in the middle of Europe’s most busy port, thus making sure that it will be noticed. The makers hope to construct such environment friendly plastic parks in other cities of the world, including Antwerp and London. The plastic parks can prevent the ‘plastic soup’ phenomenon at a global scale. The people behind this awesome plastic park also hope to inspire people to recycle more, when they get to see the beautiful product of recycling. Rotterdam has been known for being unconventional and eccentric, and the plastic park proves it. Columbia produces a whopping 28,800 tons of waste every day. 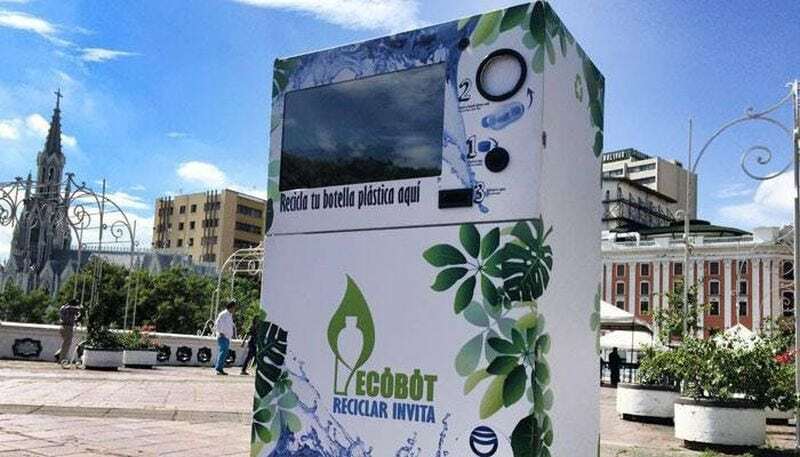 As a solution to disposing the waste, the government came up with the ECOBOT and a reward system. The ECOBOT is a reverse vending outlet/machine, which has been installed in malls and other public spaces. Every time someone puts a plastic bottle in the machine, the machine gives out a coupon that can be converted to movie tickets, shopping dollars, restaurant coupons etc. 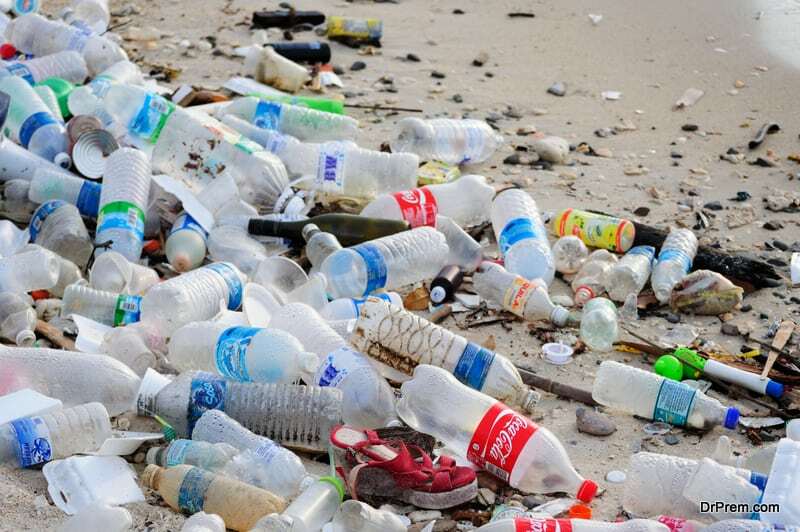 The collected plastic is sent to be recycled and this different ways to reduce plastic pollution can go a long way to reduce the plastic scourge in Columbia. Indonesian government has found one of the best innovative methods to reduce plastic pollution. The city of Malang in Indonesia produced a humongous amount of waste, and it also had a huge number of people who did not have medical insurance. The ‘Garbage Clinical Insurance’ that allows people exchange garbage for much needed medicines and medical services. The scheme run by the company Medico sells the trash to recyclers and uses the money to fund health care for the poor. This method is a very humane and different ways to reduce plastic pollution – it solves two pressing problems in Indonesia. The world can learn from Sweden, the country that has countless recycling plants working non-stop. In fact, it frequently runs out of garbage and has to ask other countries for their garbage, in order to keep their recycling plants going. The garbage is used in a very constructive manner – to produce heat and electricity for approximately 250,000 homes. Ugandan artist-environmentalist Ruganzu Bruno created a fantastic amusement park for slum children in Kampala. He collected waste from the villagers, and with help from them fashioned swings, life-sized board games etc. The artist hopes to create 100 more amusement parks in Uganda. It’s one of the best solutions to plastic and other waste. 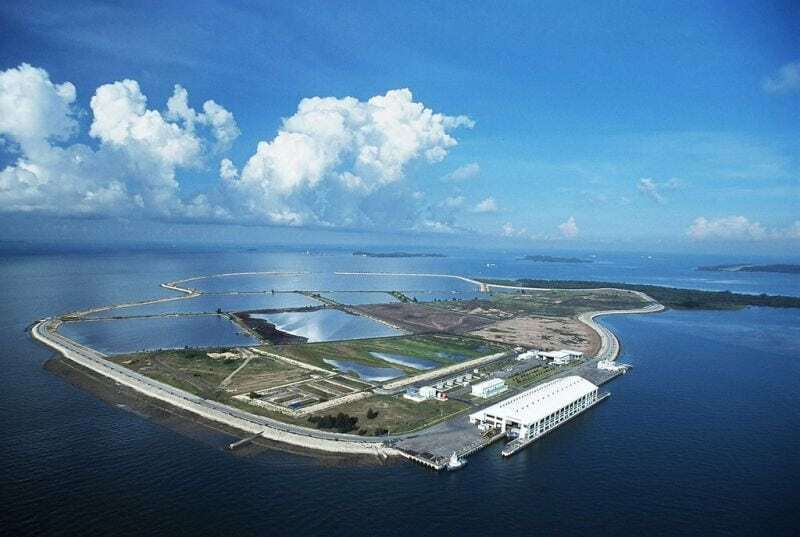 This offshore landfill in Singapore is unlike any landfill. It’s a bustling biodiversity spot home to thriving mangroves, exquisite coral reefs, bird and aquatic life. We certainly need more landfills like this one! Floating plastic parks and innovative sustainable amusement parks made from garbage and biodiversity landfill spots are some doable solutions, which the entire world can implement. Initiative and determination, along with innovation and dedication can help to get rid of plastic pollution. Plastic parks are a true example of how you can put technology into good use and enhance recycling measures to reduce plastic pollution.